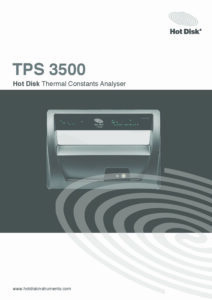 When samples are small and high-conducting, the Hot Disk TPS 3500 is the ideal instrument for testing their thermal conductivity, thermal diffusivity and specific heat. The capabilities of TPS 3500 go well beyond that of any other Hot Disk instrument to date, while retaining the documented precision of all TPS thermal conductivity meters. It meets ISO 22007-2. 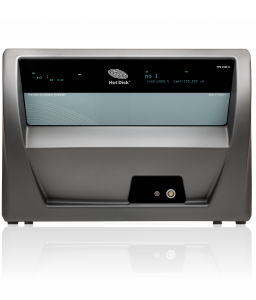 In addition, the TPS 3500 is a general-purpose R&D instrument capable of analysing thermal transport properties of any kind of solid or liquid. Solids suitable for testing with a TPS 3500 can be dense, porous or in powder form, isotropic or anisotropic, conducting or insulating, transparent or opaque. Liquids can be thick and sticky, low viscosity solvents or anything in between. As a badge of reliability the new TPS 3500 meets ISO 22007-2 and utilizes Hot Disk’s classic double spiral sensors for maximum accuracy. All this is achieved without the use of contact fluids, light-absorbing sample surfaces or fixed sample geometries. Each Hot Disk TPS 3500 is tailored according to application specifications and can be paired with a selection of temperature control accessories. To guarantee best possible performance, the controlling software is continuously updated and improved. Most accessories are also available for rapid acquisition. Sensors: The TPS 3500 operates a wide variety of Hot Disk sensors. With sensor radius from 0.5 mm up to 30 mm the instrument is suitable for all kinds of materials and applications. Multiple sensors can be connected using an automatic sensor switcher. With sensor radius from 0.5 mm up to 30 mm the instrument is suitable for all kinds of materials and applications. Temperature Control: Automatic Temperature series measurements (Isothermal Steps) are easy to perform using either an optional external Furnace or a temperature-controlled Circulating Bath. 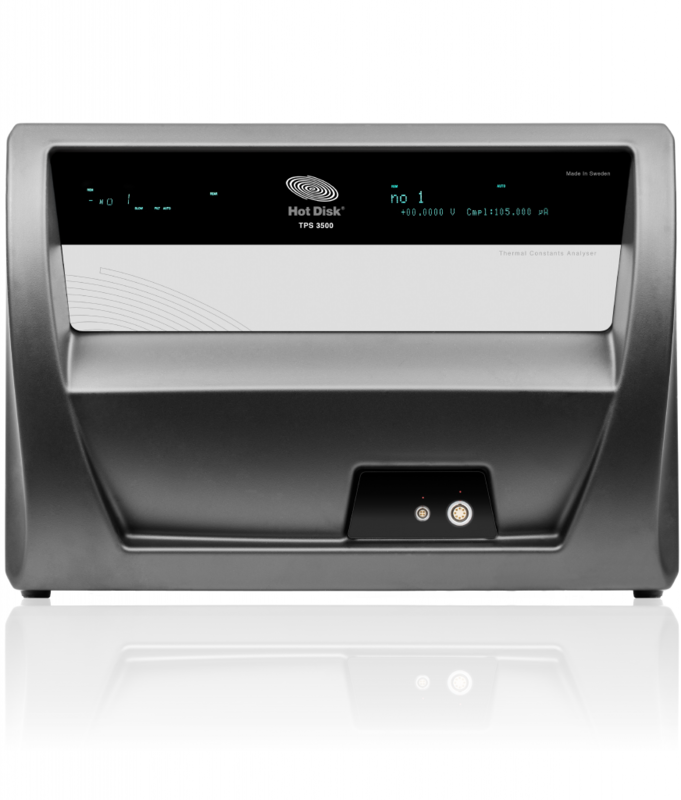 These external devices can be directly controlled through the Hot Disk Thermal Analyser software to ensure ease of use. Everything to get you started: The basic TPS 3500 setup includes everything you need to begin making measurements. 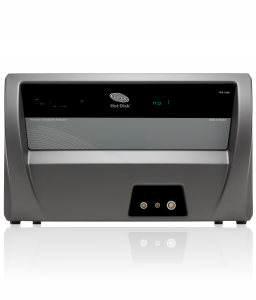 The system includes: Hot Disk TPS 3500 instrument; Isotropic, One-dimensional and Structural Probe measurement modules; a Sensor; Insulating Support-Material for Single-Sided testing; Stainless Steel Verification Samples and Room-Temperature Sample Holder. Optional Software Modules: In addition to the standard ISOTROPIC, ONE-DIMENSIONAL and STRUCTURAL PROBE MODULES, optional software modules for SLAB, THIN FILM, ANISOTROPIC, SPECIFIC HEAT CAPACITY and LOW-DENSITY, HIGHLY-INSULATING SAMPLES are available. Thermal Conductivity 0.005 to 1800 W/m/K. Thermal Diffusivity 0.01 to 1200 mm²/s. 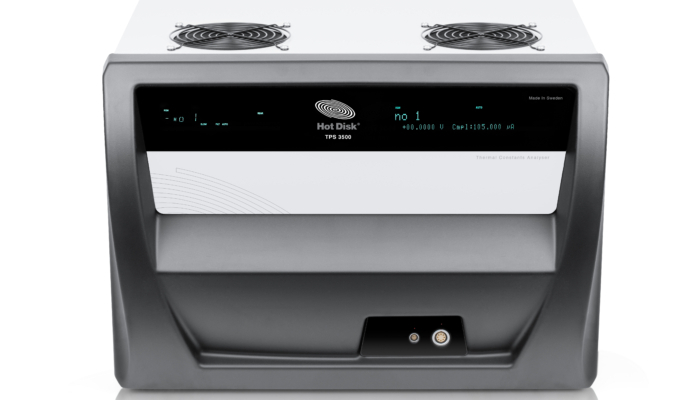 Specific Heat Capacity Up to 5 MJ/m³K. Measurement Time 0.1 to 2560 seconds. Reproducibility Typically better than 1 %. Accuracy Better than 5 %. Temperature Range -253 °C to 1000 °C. With Furnace Up to 750 °C [1000 °C oxygen free]. With Circulator -35 °C to 200 °C. Power Requirements Adjusted to the line voltage in the country of use. Smallest Sample Dimensions 0.5 mm × 2 mm diameter or square for bulk testing. 0.042 mm × 8 mm diameter or square for slab testing. 5 mm × 2.5 mm diameter or square for one-dimensional testing. 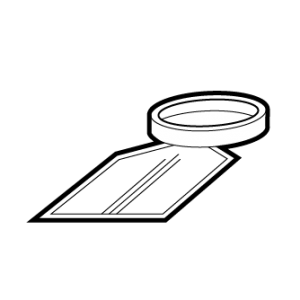 0.01 mm × 22 mm diameter or square for thin-film testing. 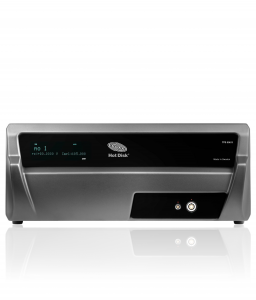 The Hot Disk TPS 2500 S is the core instrument in the system portfolio of Hot Disk AB. This general-purpose R&D thermal conductivity meter is designed for precision analysis of thermal transport properties of materials of any type. It is a capital research instrument and meets ISO 22007-2. 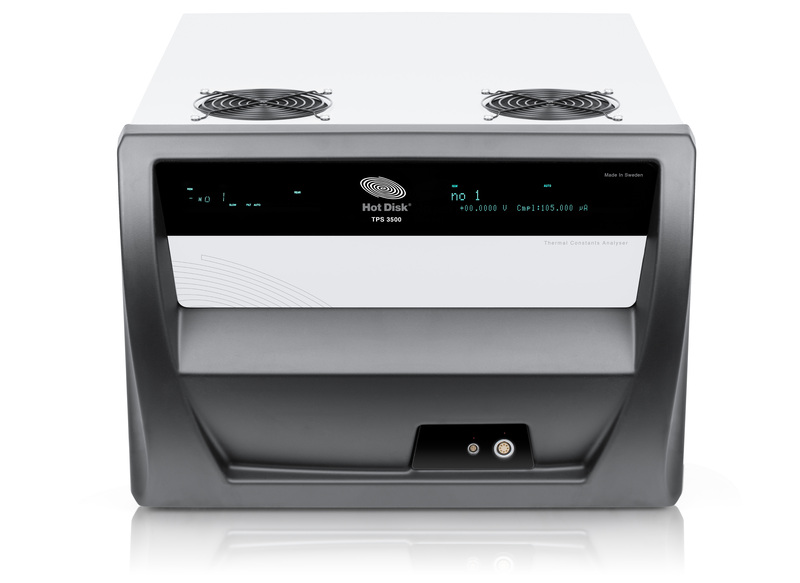 The Hot Disk TPS 2200 is an affordable option when performance and price are both in consideration. It tackles a good range of sample types and it is suitable for day-to-day testing in any laboratory with a focus on material science. The TPS 2200 meets ISO 22007-2. The affordable Hot Disk TPS 1500 is the ideal thermal conductivity meter for testing building materials, insulation materials or any other type of large bulk samples. 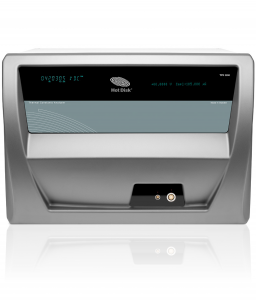 The TPS 1500 shares the sterling quality, robustness and operative simplicity of the benchmark TPS 2500 S and meets ISO Standard 22007-2. The Hot Disk TPS 500 Thermal Constants Analyser rapidly and accurately measures the thermal conductivity, thermal diffusivity and specific heat capacity of a wide range of materials and is therefore an excellent step-in Thermal Conductivity Meter. 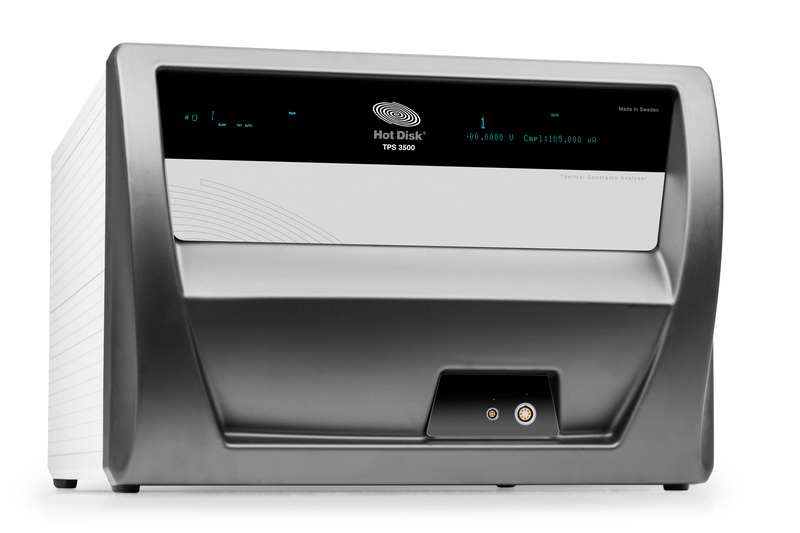 The TPS 500 S model adds powerful new features to the 500-series. The Hot Disk M1 is a basic Thermal Conductivity Meter which nevertheless offers high accuracy and measurement repeatability. With the M1, solids, powders and pastes in the thermal conductivity range of 0.03 to 40 W/m/K are readily tested.